August 31, 2015; 3:45 p.m.
By this time next year, the number of LU’s student workers will be cut drastically, with more students applying for 62.5 percent fewer positions. Currently, there are approximately 4,000 total Work and Learn students and graduate assistants on the St. Charles and Belleville campuses. This number will drop to 1,500, leaving supervisors to find the most qualified and efficient employees. According to Mircsov, the new Student Worker Program will not be tied to financial aid nor resident status. This will open the program up to student athletes, commuters and part-time students. “If somebody wants to just be at three credits, and they are eligible to do it, they can work off their tuition,” said Mircsov. Although the new program starts in January, students who maintain their positions this semester will keep their jobs, according an email sent to students in June. Students will have to apply for the limited fall 2016 positions in March. Student workers, however, may start noticing the effects of these changes early this semester. late twice, they’re gone,” Mircsov said. Current student workers will also lose their positions if they do not obtain at least 90 percent of the hours required of them for the fall semester, according to Mircsov. 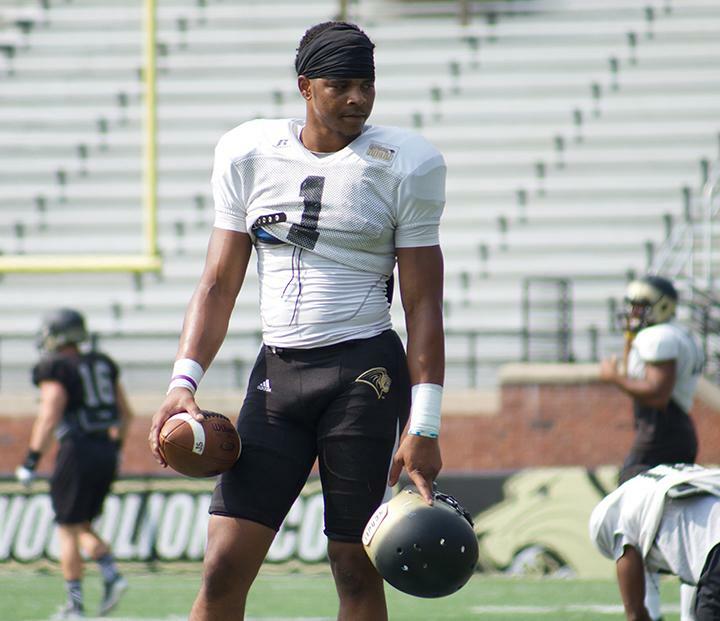 Students who go on academic probation or fall out of good standing with the university will be terminated. If a student loses his or her position, he or she will never again be eligible for the Student Worker Program. For supervisors, it may not be as simple as replacing those students with better employees. Supervisors attended an informational meeting on Aug. 20 in which they learned that any time a student is cut, that position is also cut. This system of attrition will contribute to reaching the target number of student worker positions. Lindenwood’s intent is to streamline the Student Worker Program so that undergraduate and graduate structures are better aligned with one another and with federal and state guidelines. Any money earned as a student worker is now considered taxable income, and student workers will be treated like regular employees. There will be three categories representative of skill level. 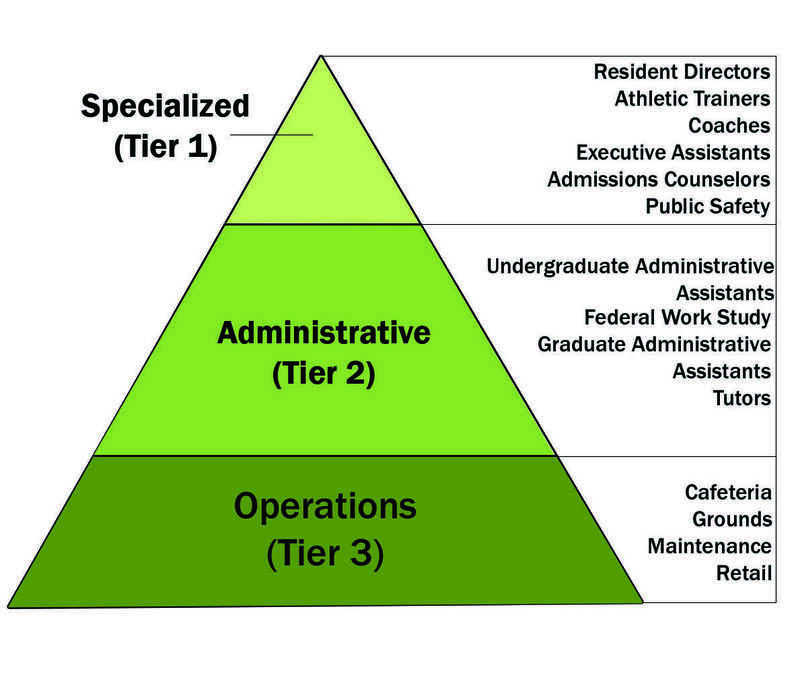 Tier 1 has an operational function, Tier 2 has an administrative function, and Tier 3 is reserved for specialized positions. All students will apply on the Human Resources website and may request a specific position. 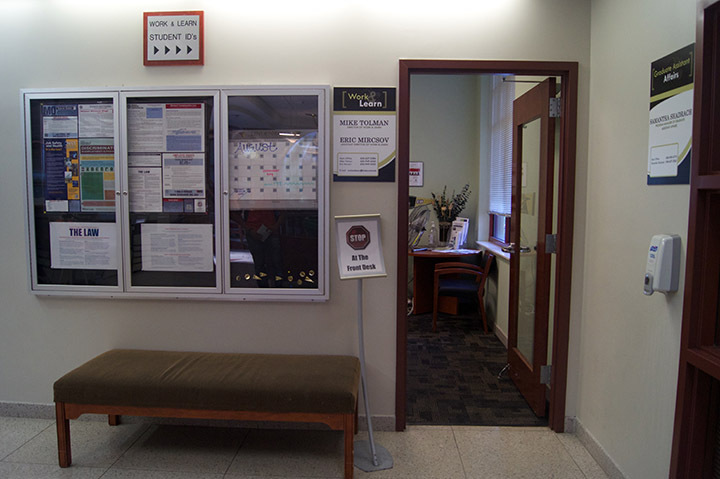 Students who are deemed qualified for those positions will be placed in Tier 1 or 2 by the Student Worker Office. For instance, a worker who has not taken theater classes and has no theater skills will not be placed in a theater job. Tier 3 workers will undergo an interview process. Most undergraduates will work a maximum of 15 hours, while full-time employees could work up to 40 hours per week. The new program will also assign terms that could last 36 or 40 weeks for most undergraduates, or 52 weeks for full-time workers. Hourly rates will vary among the three tiers, as well as within each tier. Specific allocations are expected to be determined by October, according to Mircsov. Students will be paid on a biweekly basis. Students working in Tiers 1 and 2 will receive credit directly to their accounts, which goes toward tuition, room and board and any other fees. Students in Tier 3 will receive paychecks. Federal Work Study will continue concurrent to the new Student Worker Program. FWS positions are for 10 hours per week.